To complete the form, you will need an email, mobile number, surname, pet name and reason for the appointment. Its that simple! 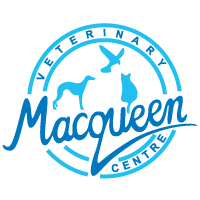 Use the form to book appointments, vaccinations, consultations and nurse appointments for a pet which is already registered with Macqueen Vets. This form creates an appointment directly in our calendar system, so once you have completed the form, you can rest assured that your appointment is booked. for confirmation, you will receive an email and text to confirm your booking. We look forward to seeing you, but if you need to, you can cancel from the email. You can’t register your pet through this form. Use the register form instead. You can’t make emergency or urgent appointments, if you have an emergency, please contact us directly; 24 hours a day, 7 days a week. We can help you faster that way. You can only book appointments 15min long, and you can’t choose which vet or nurse to see. If you have specific requirements, please contact us.